it’s a film as appropriate, if not more so, for a Scorsese retrospective since it’s as much about himself as it is his idol…and it’s worth addressing the fact that nobody but Scorsese, who has previously made personal “journeys” through Italian and American cinemas, could make such a subjective tribute like this and have anyone caring. This is fine, it’s mostly for those people who will pay $150 for a set of 15 Kazan films personally selected by Scorsese, but the doc isn’t just for die-hard Kazan fans. You have to be a die-hard Scorsese fan, too. 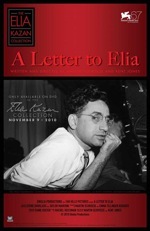 The film is only an hour, and I’m sure there are plenty of readers who are seriously into both Kazan and Scorsese, so go ahead and watch the whole film at the “American Masters” site (apparently PBS video embeds are not supported by WordPress, so my apologies on not being able to watch here). What a perfect time for “Public Speaking” to be released on video, one day after the NYC smoking ban was augmented to include beaches, parks and major public areas such as Times Square. 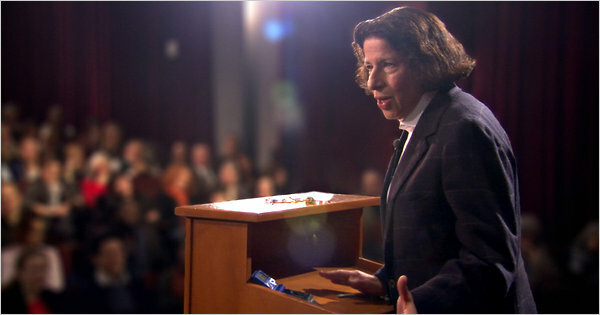 Actually, perhaps HBO planned it so Fran Lebowitz would be too distracted by the DVD release to think about her annoyance with Bloomberg. Then again, she does imply in the documentary that she doesn’t go to Times Square, and for some reason I don’t see as much of a beach person. So maybe she isn’t too bothered. Oh, who are we kidding? Directed by Martin Scorsese (“The Last Waltz”), this may actually be one of his most important New York films. Like 2004’s “Lady by the Sea: The Statue of Liberty” (co-directed by Kent Jones), the doc is about one of the Big Apple’s most well-known women. This time, the author and humorous intellectual who hates smoking bans, New York tourism and all manner of modern gadgetry. She discusses these things and more in interviews and speaking events, which are intercut together for a funny stroll through Lebowitz’s mind and history.